Growing up, you’ve probably been given Gatorade or some type of electrolyte-recovering beverage for energy and endurance when you played sports or any activity. The flavor is just a bonus. In an article from Science Daily, there may be another healthy, reasonable alternative to help recover your body during sports: the banana. Both sports-related beverages and bananas allow the body to last longer and recover, however, the banana has more advantages. Not only are bananas healthy and natural, but it can also help athletes and cyclists perform better once consumed. It also showed there were more advantages to consuming the fruit than the beverages. There is a greater nutritional boost in bananas. In a medium banana, it includes 3.1 grams of fiber, 0.43 milligrams of vitamin B6, and it has a healthier blend of natural sugars! The glycemic level for bananas are in the mid-range 51, so although it may seem a little high, it’s similar to other fruits such as oranges, grapes, pineapples, and mangos. Bananas are also cost-effective and a great source of carbohydrates, about 27 grams in a medium banana, and potassium, or 422 grams, both of which are good for muscle and endurance recovery. Bananas reduce inflammation when exercising, so you can push farther and last longer, especially when it comes to marathons, endurance competitions, or simply training to improve your time. 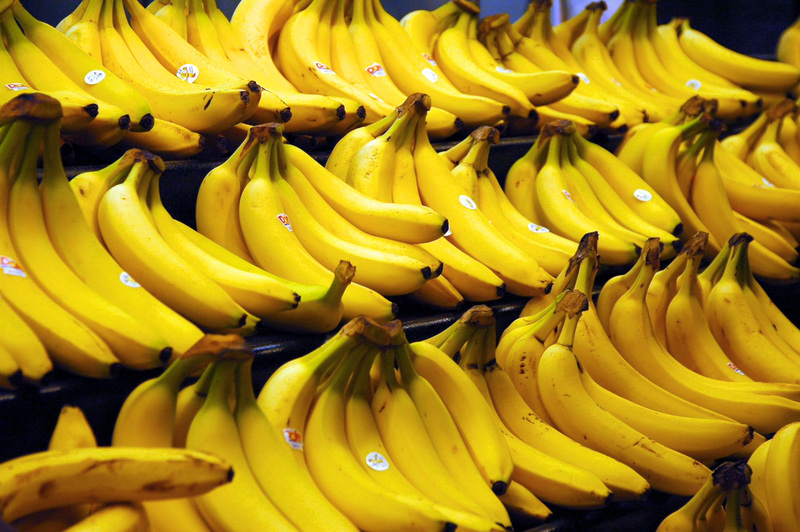 Lastly, bananas also have some antioxidant value, similar to kiwi fruits and orange juice! Overall, bananas have been deemed one of the best, cheapest super fruits for years, and the results show how much it can do to the human body when it’s under stress or in need of an extra push for performance! Don’t worry if you don’t like the taste of bananas or simply cannot have any; sports drinks are still an alternative when you need a lift, but if you do strive for a natural, cheap replacement, a banana is a wonderful solution! Another good replacement drink is simply an ice cold glass of milk. If you liked this article then you will love the Fill Your Plate blog. New articles are posted every week. This entry was posted in Dairy, Diet Tips, Fill Your Plate, Food, Food Facts, Fruit, Grocery, Health Tips, Healthy Eating and tagged Bananas, Drink, EAT, Electrolytes, food, Health, Sports. Bookmark the permalink.